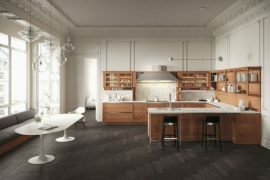 Sleek contemporary kitchens that feel like a seamless extension of the living area have undeniably grown in popularity in the last few years. 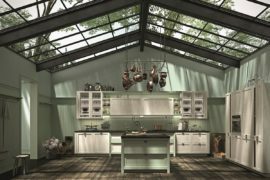 But there is still ample scope for that gorgeous, traditional kitchen that brings along with it modern ergonomics wrapped in timeless beauty. 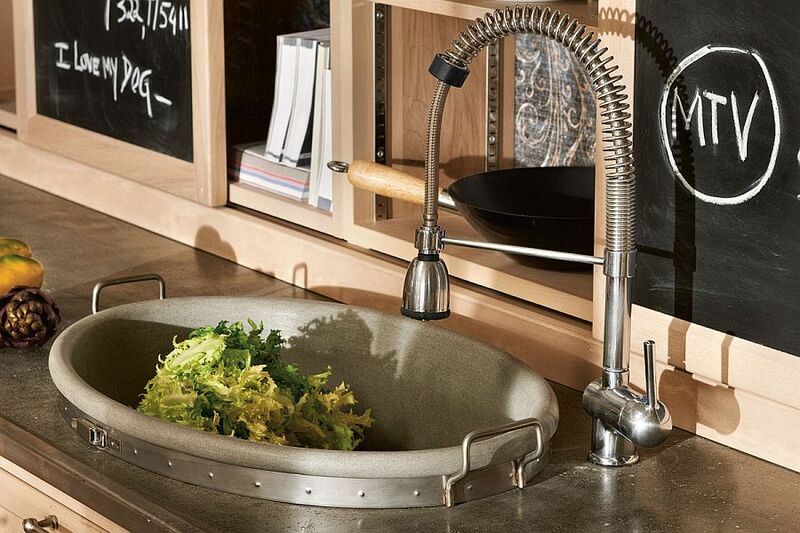 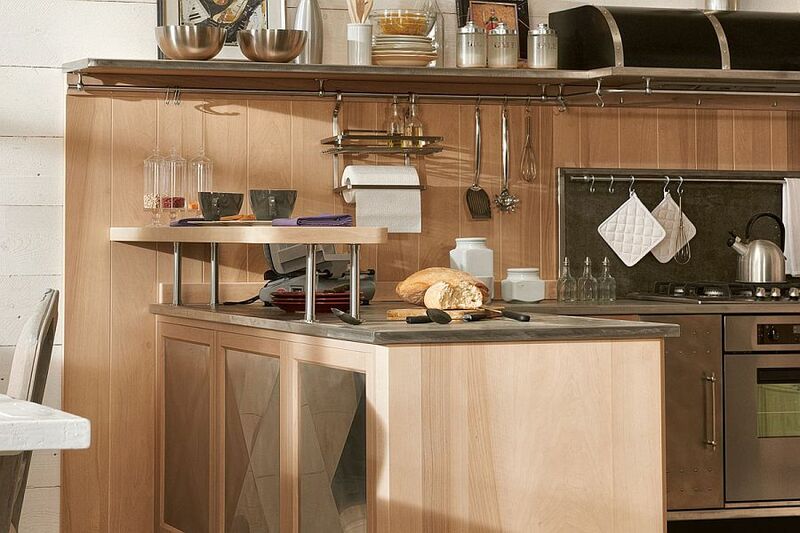 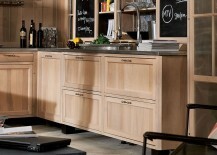 Designed by Marchi, the exclusive Panamera Kitchen is one such composition that charms you with its classic approach to design while comfortably becoming a part of your urban lifestyle. 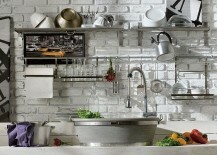 Nothing in this kitchen seems ‘rushed,’ and one can immediately sense a casual and relaxed vibe that surrounds Panamera. 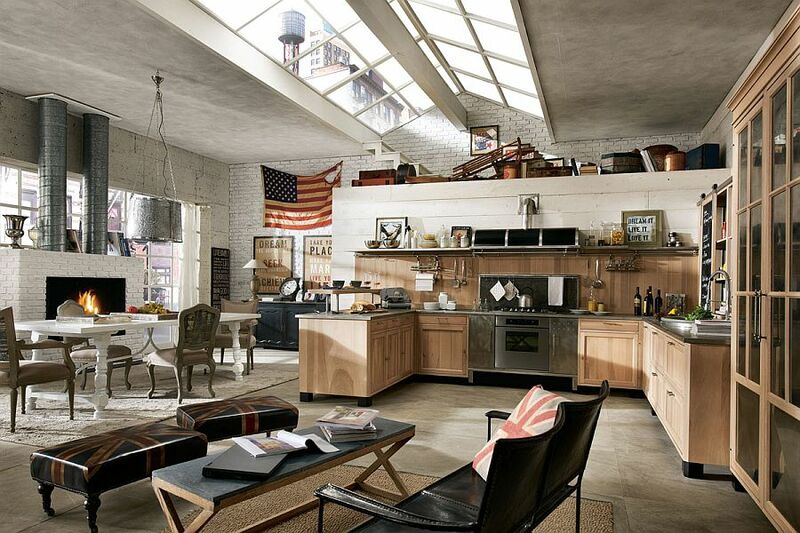 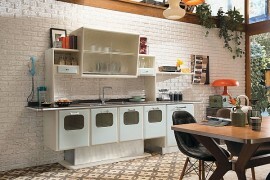 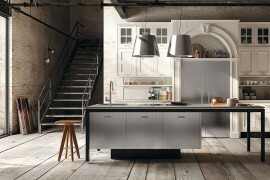 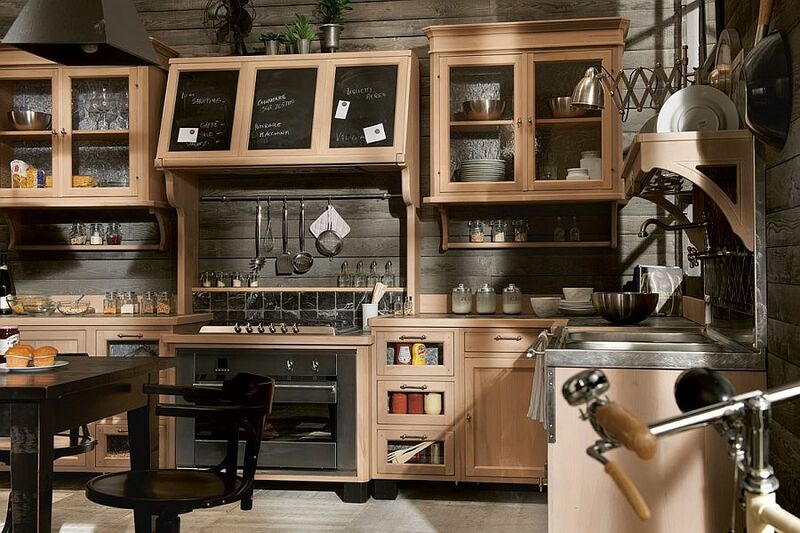 Part of the vintage series of kitchens designed by Marchi, Panamera seems a lot more modern in its design than Loft or 1956. 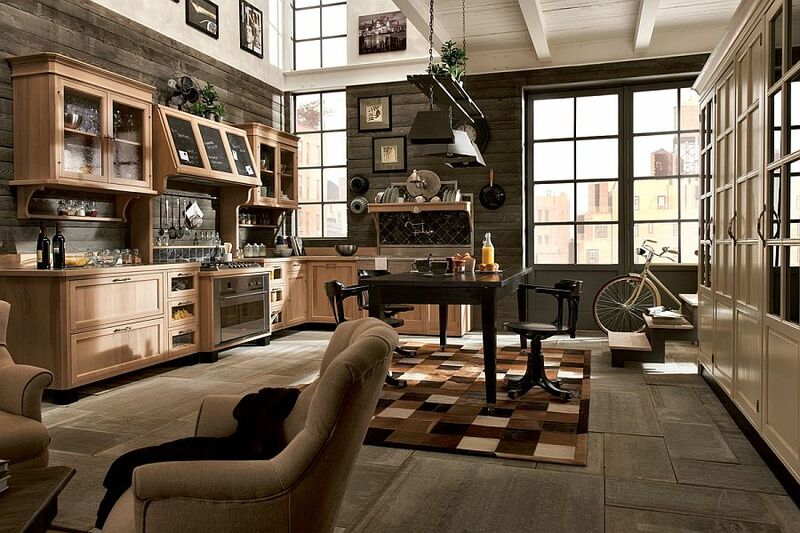 An interesting combination of contrasting materials such as wood, stone, stainless steel and brick give this kitchen its inimitable look while offering ample visual and textural contrast. 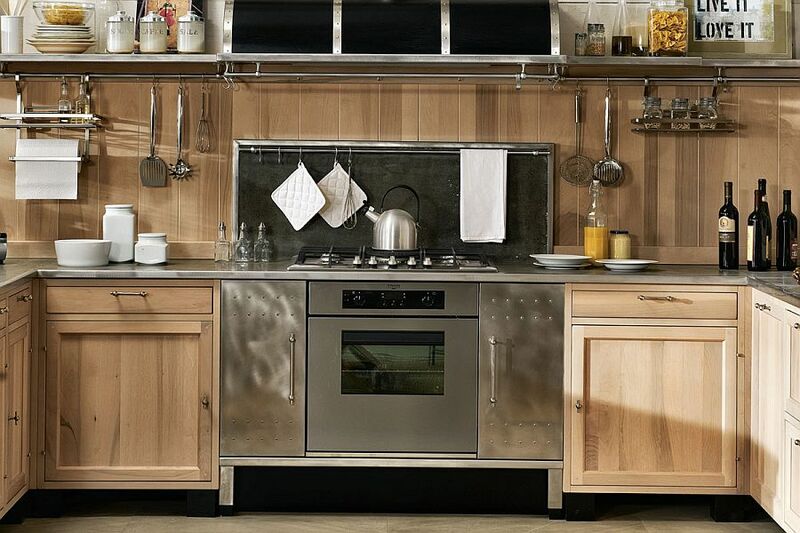 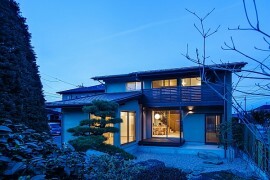 Every detail is carefully crafted with distinctive custom finishes and interplay between the various elements. 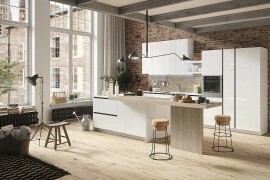 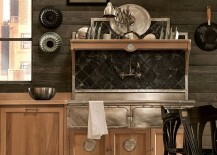 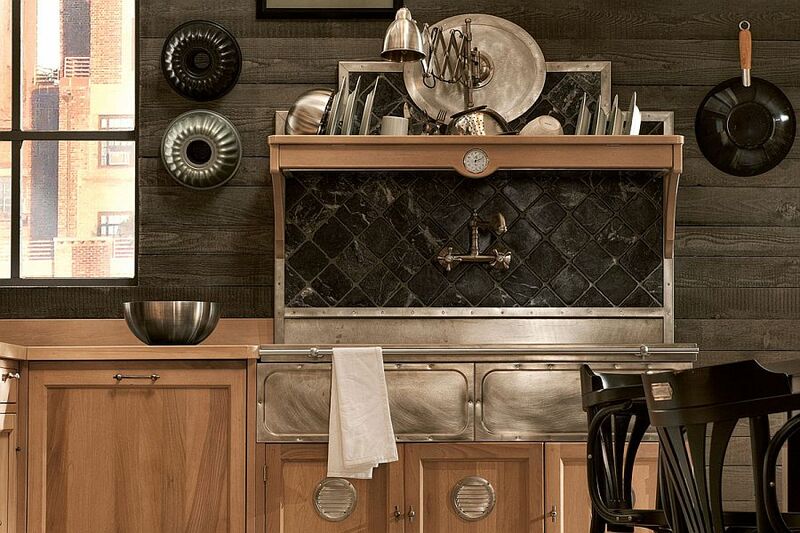 One can find an obvious touch of vintage elegance subtly embedded in the design of the kitchen island and the unique hoods. 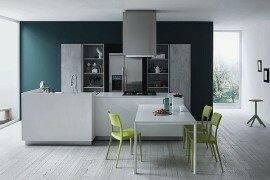 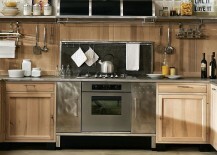 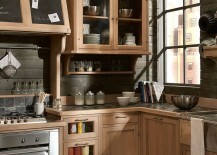 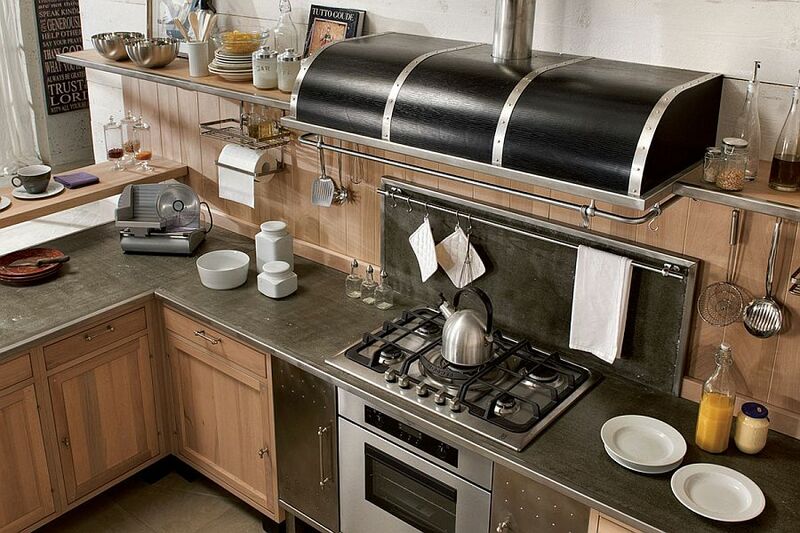 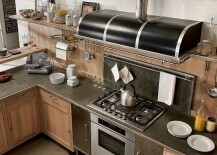 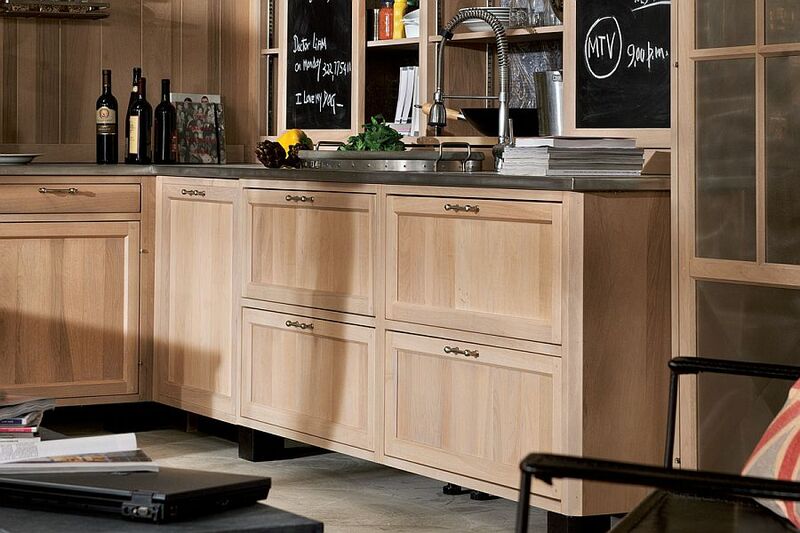 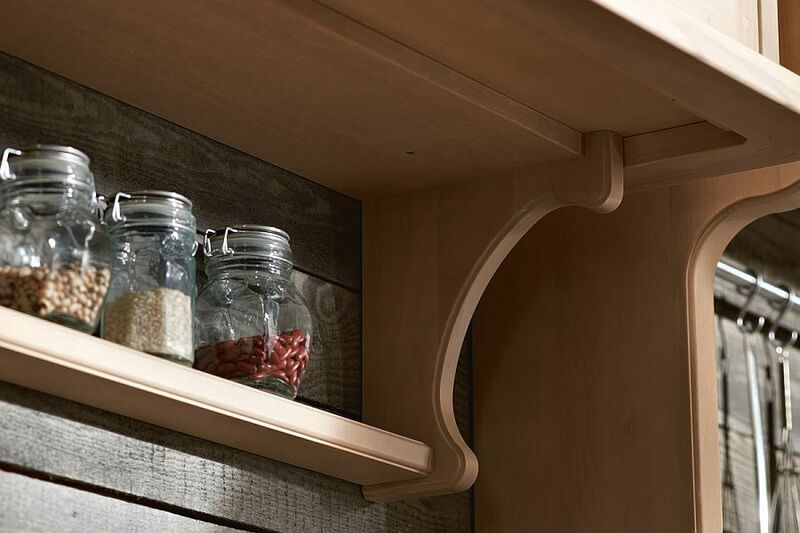 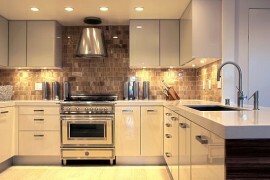 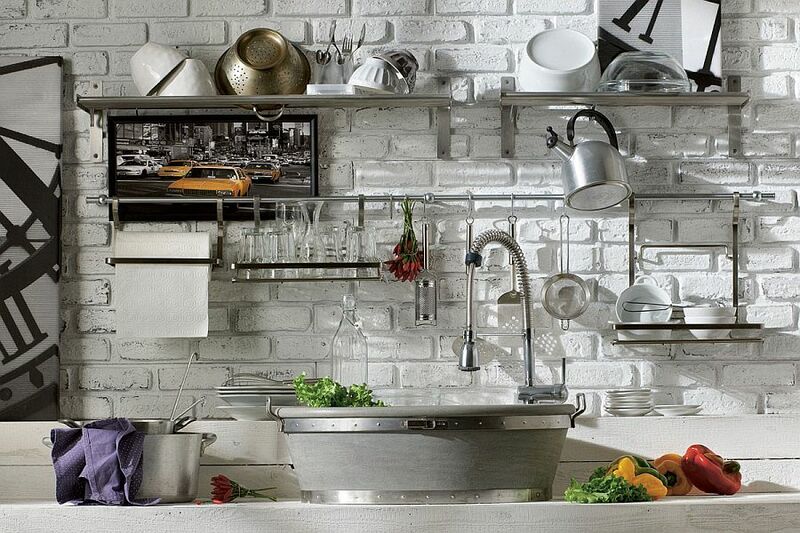 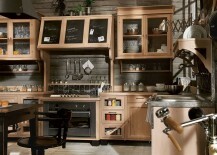 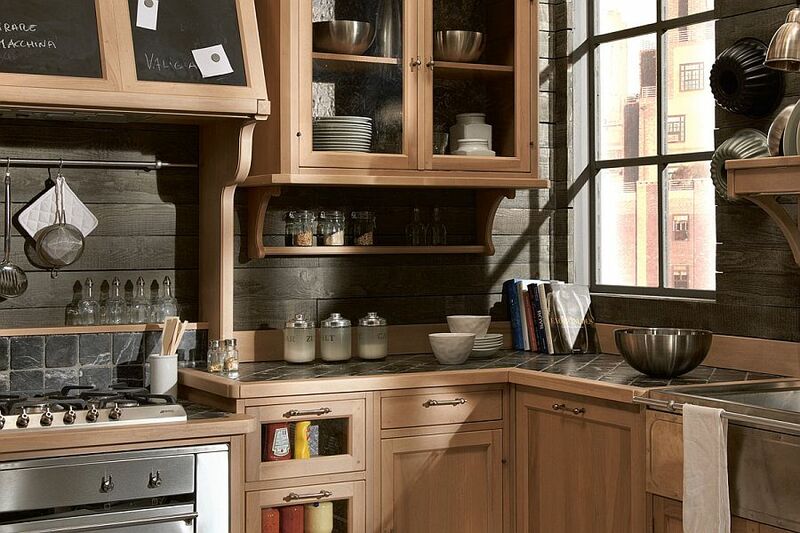 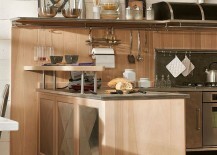 Clever floating shelves, ample cabinet space and distinctive features come together to create a truly magical kitchen!